Peristaltic hose pumps require lubrication to function properly and maximise the service life of the hose. 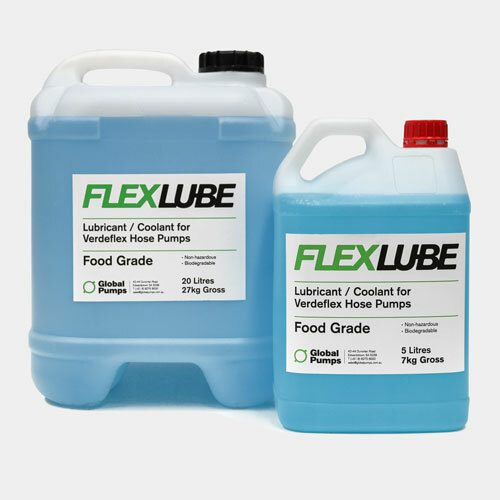 Verderflex Flex-Lube from Global Pumps is a specially formulated food grade lubricant containing glycerine that promotes heat transfer from the hose to the pump casing to elongate hose life. It is blue in colour and can be used at temperatures ranging from -40°C to 100°C (-40°F to 210°F).